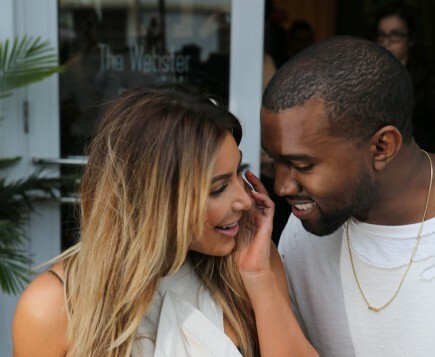 The moment we’ve all been waiting for has arrived: The Kimye Wedding. Kim Kardashian and Kanye West began dating in April of 2012, shortly giving birth to their beautiful daughter, North West, and later got engaged. The couple married this past weekend, in grand European style. The couple spent the evening, dancing, laughing, and talking lovingly about each other according to UsMagazine.com. How do you keep your wedding look flawless all night? 1. Waterproof make up and hairspray are your new BFFs: Let’s be honest, there will be tears. The waterproof make up will hold longer, and is less likely to run if a tear or two does seep through. To keep your make up and hair in place, use hair spray to set your look. Spray at least 10-inches from your face and hair, in order to maintain a level amount on each aspect part of your head. And remember, don’t touch your face too often, it keeps the make up from smudging off. 2. Pull a ‘Kim’: It’s better to be safe than sorry, have multiple back up outfits just in case something were to go wrong at the last minute. Kardashian had multiple outfits choices on her big day, providing her a sense of security. You can do the same to ensure that your special day doesn’t hit any road blocks on your way to your happily ever after. 3. Spoil yourself: Today is a day about you and the love of your life, don’t settle for anything less than perfect. Get your hair styled, use the best products, practice having your make up done before hand so you know what to expect. There is never too much preparation for what is supposed to be the best day of your life. So really wow your hubby-to-be and pamper yourself like a princess, after all, he’s about to make you his queen. Do you have any wedding day tips? Share with us here!